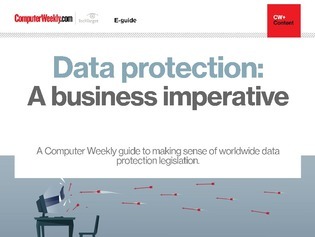 Data protection is a “business imperative” according to the International Association of Privacy Professionals (IAPP), which is reason alone for organisations of all sizes to be focusing on this topic. But added to that, is a rapidly growing raft of data protection legislation around the world, particularly in Europe with compliance deadlines for the EU’s General Data Protection Regulation (GDPR) and Networks and Information Systems (NIS) directive coming up in May 2018. UK organisations will also need to keep an eye on new data protection regulation that is also potentially coming into force in May, as well as potential successive changes to the Investigatory Powers Act around data protection and privacy. While many organisations are focusing on the huge fines for non-compliance and the significant financial and reputational costs of data breaches, it is the fact that good data protection and privacy practices builds consumer trust and enables the innovative use of data that should be driving organisations to act.